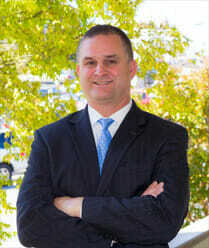 Attorney Richard Blevins, Jr. is the firm’s senior litigation attorney. He has successfully handled thousands of criminal and personal injury cases. He has enjoyed great success litigating in Georgia courts. He has a strong background in law enforcement, with 10 years of prior law enforcement experience with civilian and military agencies. Former Police Officer with DeKalb County and City of Milledgeville; Former Sheriff’s Detective and Deputy with Baldwin County; and Former U.S. Army Military Police Investigator, Patrolman and Traffic Accident Investigator. Former Assistant District Attorney with the Cobb Judicial Circuit and Former Assistant Solicitor-General with Cobb County. Selected Georgia Super Lawyers 2014, 2015, 2016 & 2017; Received Superb 10.0 rating with Avvo; AV Peer Review Rated for Ethical Standards and Legal Ability; and 5.0 Google review rated. Served in the U.S. Army Military Police Corps from 1987 to 1992. Stationed in West Berlin, Germany and Schofield Barracks, Hawaii. Graduated from Military Police Investigator School, Basic Military Police School, Primary Leadership Development Course, Air Assault Course and Basic Training. Awarded the Army Accommodation Medal (1 OLC), Army Achievement Medal (2 OLC), Good Conduct Medal, National Defense Medal, Army of Occupation Medal, Overseas Ribbon, German Marksmanship Badge, German Infantry Proficiency Badge, and Army Superior Unit Award. Achieved the rank of Sergeant/E-5. Completed the N.H.T.S.A. Field Sobriety Testing Instructor’s Course, N.H.T.S.A. Field Sobriety Testing Practitioner’s Course, Advanced Roadside Impaired Driving Enforcement course (A.R.I.D.E. ), graduated from the 17 week DeKalb County Police Academy, and achieved Georgia Intermediate and Basic P.O.S.T. certification. 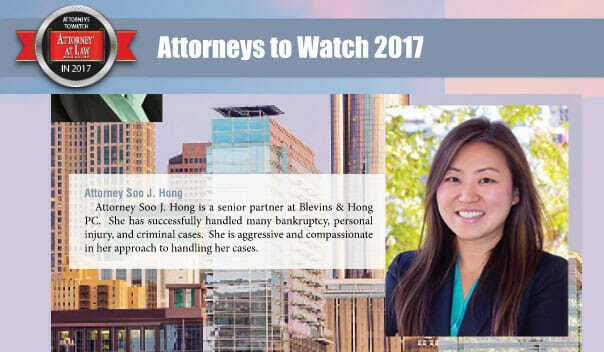 Attorney Soo J. Hong is a senior partner at Blevins & Hong PC. She has successfully handled many personal injury, bankruptcy, and criminal cases. She has over 10 years of experience and has been recognized by many legal organizations for her work. She is aggressive and compassionate in her approach to handling her cases. The Law Offices of Blevins & Hong, PC. 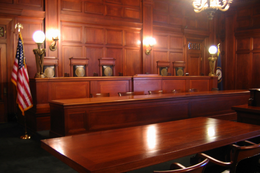 has successfully represented cases at the state and Federal level for over a decade. Our experience has.. 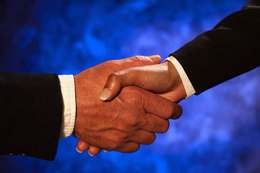 When you enlist the services of our firm, you are backed by a committed team of criminal defense attorneys. Schedule your free consultation today. Years of experience in defense have merited Richard Blevins and Soo Hong as the top attorneys in Marietta Ga for civil cases, DUI, Bankruptcy and more. The Law Offices of Blevins & Hong has successfully represented cases at the state and Federal level for years. Learn how we can help. Blevins & Hong, P.C. has a reputation in the legal community for excellent representation of all of our clients. This reputation is a product of each lawyer’s tireless pursuit for justice for each client. Whether a case is extremely complex or relatively simple, the firm’s attorneys are always ready to take a case to trial. When it is not in the client’s best interest or desires to go to court, the firm’s lawyers will carefully negotiate a settlement that will meet the needs of the client. Our firm continues to improve our legal knowledge and participate in several prestigious associations. We are members of the National Association of Criminal Defense Lawyers, the Georgia Trial Lawyers Association, the American Association for Justice plus more. Our firm is also AV® Rated/Rating by Martindale-Hubbell® due to the ethical standards and legal ability of our attorneys. Our legal team is qualified to represent you in bankruptcy, criminal cases, personal injury cases and civil rights cases; call our firm to see how we can help you. In a world where DUI and DWI incidents are on the rise and fatalities are becoming more common, some have been charged with DUI while parked. The days of staying in your vehicle and seemingly making a good choice of “sleeping it off” are gone. Even if your vehicle is not in motion if an officer sees you asleep in the vehicle they may make a determination that the person had the intent to drive. Those are very dangerous grounds to be standing on. Before things escalate and you found yourself fighting an uphill battle, contact the Marietta DUI attorneys at Blevins & Hong. Being arrested for DWI (Driving While Intoxicated) or DUI in Marietta (Driving Under the Influence) could be very stressful, especially if it’s your first offense. Underage drinking and Intoxication assault in Marietta carry very heavy penalties. It’s important to know that being arrested for DUI does not necessarily mean you will be convicted or even lose your license. Especially if you have the right DUI attorneys in your corner. The law office at Blevins and Hong, PC have been defending the Citizens of Marietta and neighboring cities such as Kennesaw, Acworth, Roswell, Smyrna and Atlanta from DUI charges since 2001. With Thousands of dismissed and not guilty verdicts, Blevins & Hong, PC have become the most distinguished DUI attorneys in Cobb County and surrounding cities. Their expertise behind driving under the influence and Cobb County laws has been an asset to people facing serious charges. 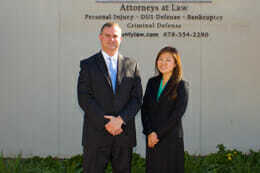 Attorney Soo Hong and Richard Blevins have received a Superb 10.0 rating from Avvo and are recognized by Super Lawyer. Richard Blevins is also a National Ranked Superior DUI Attorney by NAFDD. If you have been charged with DUI, it is imperative that you request a hearing with 30 days of your arrest in order to prevent your license from being suspended. Whether this is your first offense or your 2nd or 3rd, it is imperative that you take action immediately by calling our law office today. If you have been charged with a DUI, it’s important to have a basic understanding of the charges you face and your rights in the situation. DUI has increasingly become a highly technical criminal charge. Law enforcement officers are encouraged to become specialized in conducting DUI arrests and receive certification in Standardized Field Sobriety Tests. Blood alcohol content levels are often determined by DUI tests, including breathing into a device such as the Intoxilyzer 9000. However, even these specialized advancements are not immune to error. Each Marietta DUI defense attorney at our firm is highly knowledgeable in this field science, which is essential to creating a strong defense strategy. If you have been charged with a DUI or other criminal traffic offense in Marietta, Powder Springs, Austell, Smyrna or the surrounding areas, call us today. While we have helped thousands of people in DUI and criminal traffic offense situations, we understand that every case is unique. From the moment of your free consultation, we give you our full dedication and assistance, spending the time to truly understand each aspect of your arrest. Have you found yourself facing mounting debt? Bankruptcy could be an option for you! Many people feel as though bankruptcy is something to be avoided, but it is actually designed with the debtor in mind. It is a way to get a clean slate and start again fresh. Learn about the different types of bankruptcy as well as the various other types of debt relief which could work for you! If you are dealing with overwhelming debt, lawsuits, garnishments, foreclosures, repossession or other debt-related problems, Attorney Soo Hong of Blevins & Hong, P.C. can provide you the counsel you need to have confidence for your future. Bankruptcy can also eliminate secondary mortgages on your property and avoid any liens placed on your property. 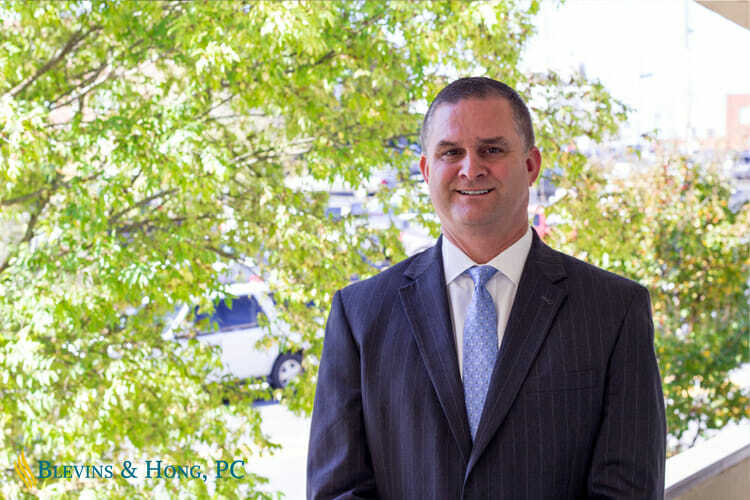 At Blevins & Hong, P.C., our attorneys can review your financial situation to find you the best option to resolve your debt and to protect your rights under the law. 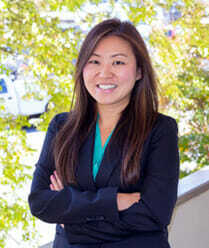 Attorney Soo Hong is well known for her responsiveness and accessibility to her clients. You will meet with her one-on-one and she will be the only attorney that you will deal with from the beginning to the end of your case. Ms. Hong will guaranteed that you will always be updated on your case and all your questions answered. If you have been accused of a crime or have already been charged, your first step should be to get in touch with a strong defense attorney team such as Blevins & Hong. Choosing the right lawyer is imperative because your future and your freedom is at stake. You could be facing heavy fines, time behind bars, community service, as well as a permanent mark on your criminal record. Do not let this happen. Get informed regarding your rights. Our firm’s partners, Soo Hong and Richard Blevins, have over 36 years of combined experience in criminal matters. Richard Blevins has over 15 years of experience as an attorney. He was a former Assistant District Attorney and a former Assistant Solicitor General. He has over 5 years of law enforcement experience, serving as a former DeKalb County Police Officer, a former Milledgeville Police Officer, and a former Detective with the Baldwin County Sheriff’s Office. He was also choosen to teach, serving as a former criminal justice instructor at two local colleges. Further, he is a Veteran of the U.S. Army, serving 5 years with the Military Police Corps. He has over 1,000 hours of police training, was certified to operate the Intoxilyzer 9000, achieved intermediate P.O.S.T. certification and graduated 3rd in his class at the DeKalb Police Academy. He also has completed NHTSA courses in DUI Detection and Field Sobriety Testing and Advanced Roadside Impaired Driving Enforcement (ARIDE). These are the courses law enforcement officers take to learn how to conduct field sobriety tests. His experience can be beneficial in defending against any type of criminal charges. Soo Hong has over 10 years of experience as an attorney. She is certified to operate the Intoxilyzer 9000 and has also completed NHTSA courses in DUI Detection and Field Sobriety Testing and Advanced Roadside Impaired Driving Enforcement (ARIDE). Ms. Hong has represented numerous clients in cases ranging from serious felonies to misdemeanors including DUIs, to traffic citations. Ms. Hong has often been successful in getting her client’s criminal charges dismissed even before going to court. With her experiences with dealing with the prosecutors and judges all over Georgia, in and out of court, she has built a great relationship that always benefits her clients. After an accident, it can be difficult to know where to turn for help. Personal Injury is a category of law that includes accidents, product liability, and more. If you were injured because of the negligence of another person, you deserve to be compensated for what you had to go through. 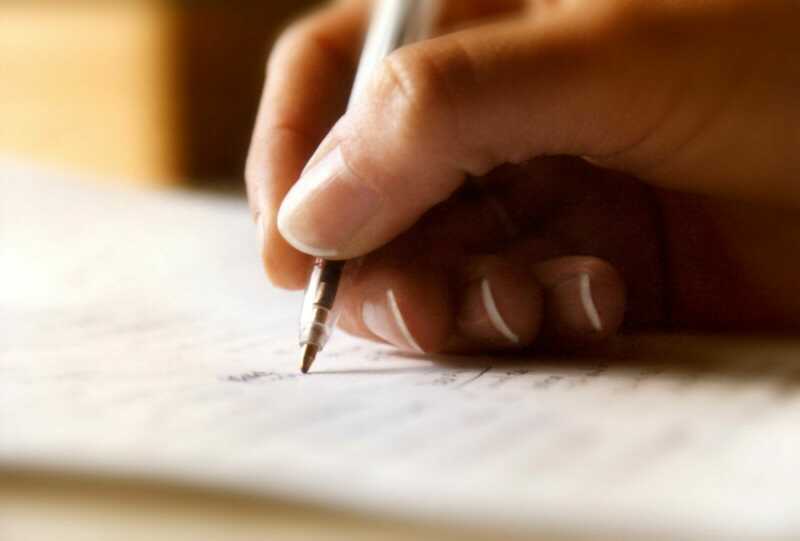 Learn what steps you should take next as well as how Blevins & Hong could help you secure a successful resolution to your case. 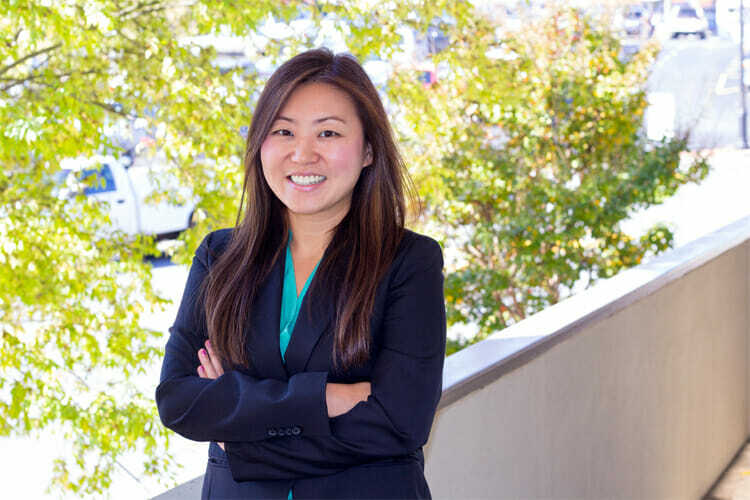 Attorney Soo Hong has represented many clients injured in serious vehicle accidents, often times going all the way to trial to get the best results for her clients. It is important to find an attorney that will explain everything up front and make sure you are being fully compensated. If you have been injured in an accident, be sure to contact Attorneys Soo Hong and Richard Blevins to get the information you need to recover from your injuries. Attempting to deal with any legal matter on your own, whether a personal bankruptcy filing, dealing with a criminal charge or injury claim related to an auto accident, can be exceedingly difficult if you do not have the proper resources and training to face the matter head on and aggressively seek the best possible result. That is where the team at Blevins & Hong, P.C. comes in. We welcome you to visit our websites and review the information we have included about our specific services and areas of practice. We are standing by to see how we can best assist you. Your entire future may be on the line – let us fight to protect your legal rights every step of the way. Blevins & Hong, P.C.’s staff is friendly and hospitable. They make you feel at ease. Hands on with great follow through. Thanks to Mr. Blevins for his work in getting my traffic citation reduced to “Rules of the Road”. He accomplished an outcome that was the best I could hope for under the circumstances. I count myself lucky to have met him, and will strongly recommend him to anyone seeking legal services in his specialties.